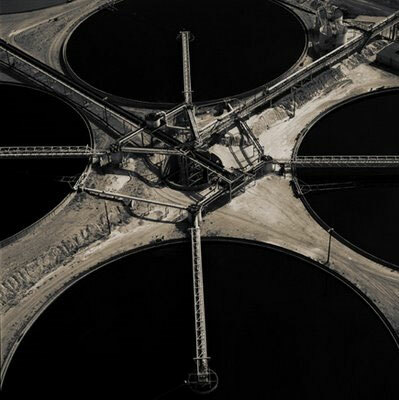 Photographer and 2018 Guggenheim Fellow David Maisel discusses his work, including his latest project, "Proving Ground." 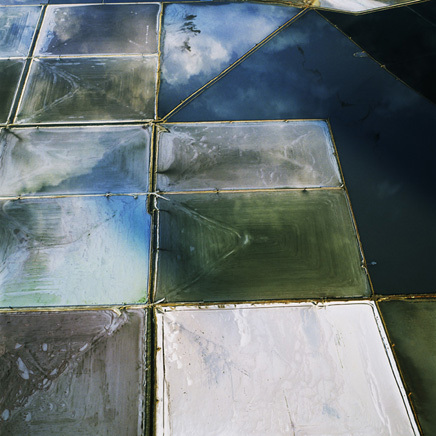 David Maisel’s two aerial photography series The Lake Project (2001 – 2002) and Oblivion (2004) explore respectively the landscapes of Owens Lake and the Los Angeles metropolis. 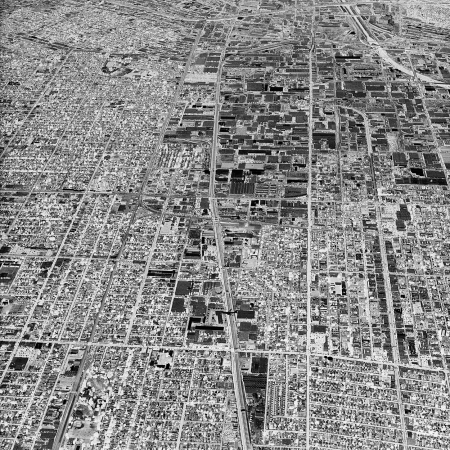 Owens Lake, a mostly dry glacial lake some two hundred miles to the northeast of Los Angeles on the Eastern side of the Sierra Nevada, was drained throughout the 20th Century to supply water to the ever-growing Los Angeles megalopolis. The desiccated Owens Lake, transformed through the immensity of water diversion projects that fed the Los Angeles Aqueduct, has become the largest toxic dust site in the United States and remains so, even with the more recent partial restoration of water flow to the site in an attempt to mitigate its toxicity. 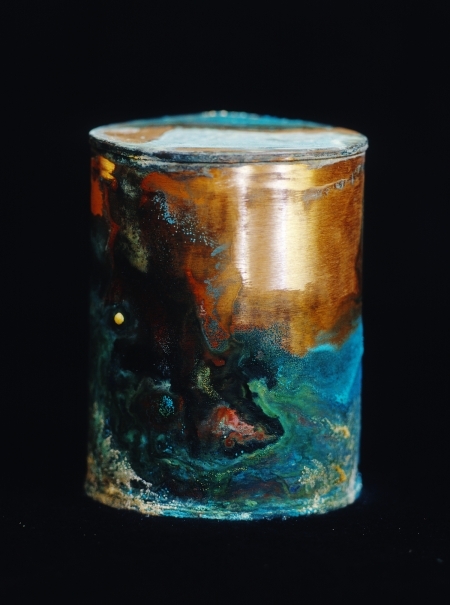 For over twenty years the Oregon State Psychiatric Hospital stored the cremated remains of patients in copper containers. 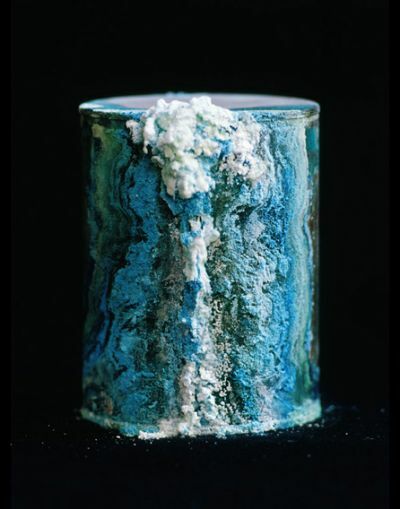 Photographer David Maisel found them, and shows the beautiful — and bizarre — chemical reactions that took place as the canisters corroded in his exhibit "Library of Dust," currently at the California Museum of Photography in Riverside. Produced by Sarah Lilley. 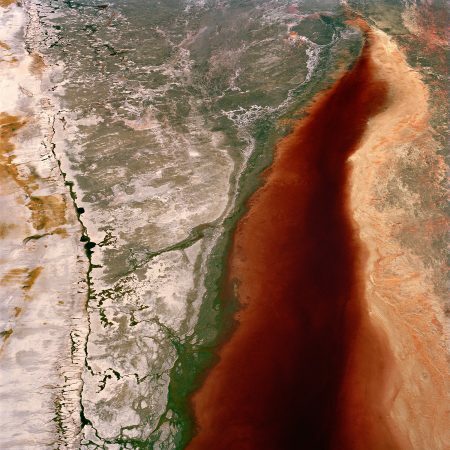 David Maisel was born in New York City in 1961 and now lives and works in the San Francisco area. 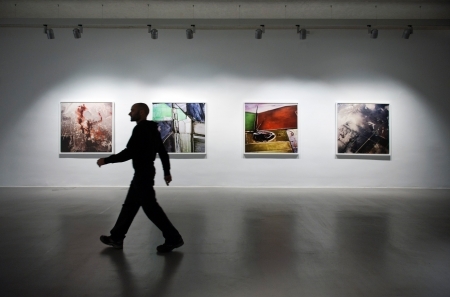 His photographs, multi-media projects, and public installations have been exhibited internationally, and are included in many permanent collections, such as the Metropolitan Museum of Art; the Los Angeles County Museum of Art; the Brooklyn Museum of Art; the Santa Barbara Museum of Art; and the Museum of Fine Arts, Houston, among others. 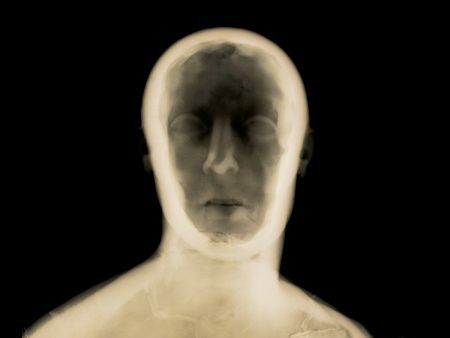 His work has been the subject of three monographs: The Lake Project (Nazraeli Press, 2004), Oblivion (Nazraeli Press, 2006), and Library of Dust (Chronicle Books, 2008). 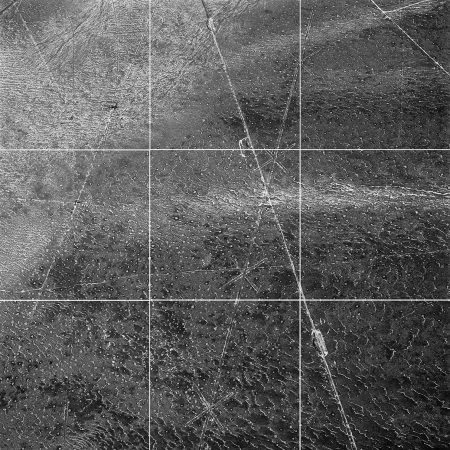 A portfolio of Maisel's work is also available in Daylight Issue #3. 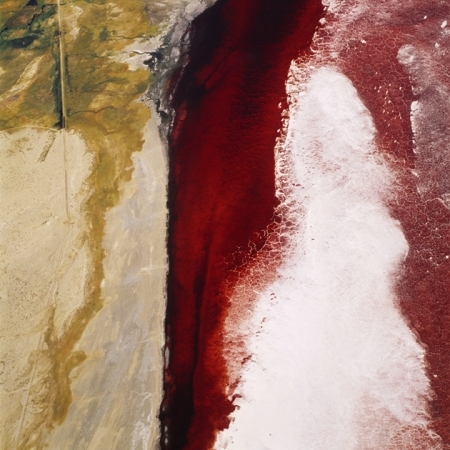 Aerial photographer David Maisel shoots environmental messes -- like cyanide leaching fields and dried-out lakes. But his color prints are big, gorgeous, and mysterious. Maisel talks about his pictures of Los Angeles, just published in the book Oblivion, and how he seduces and betrays viewers at the same time. Produced by Trey Kay. 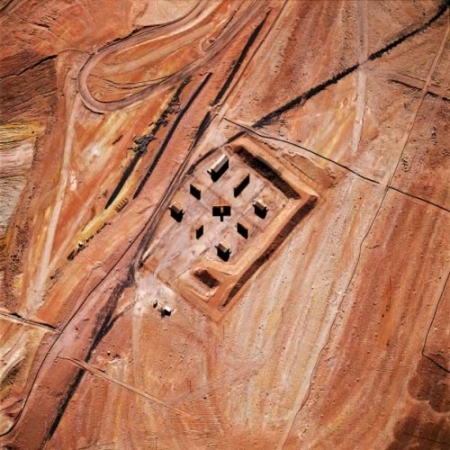 In his own words, David has a “fascination with the undoing of the landscape.” He has become most widely known for his aerial work, which includes extended studies of North American mines, clear-cut forests, urban sprawl, evaporation ponds and other peripheral industries of the Great Salt Lake.